Everyone has heard the saying “A picture paints a thousand words”. It’s a well used statement but how many times have you opened a newspaper, magazine or website and seen a picture used by businesses that comes nowhere near to telling the story it is meant to represent? 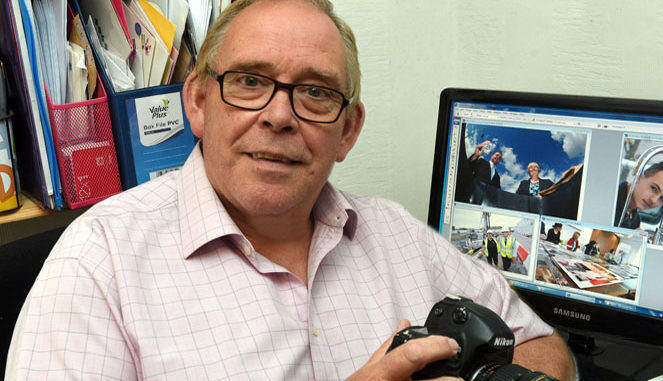 One of the biggest problems facing professional PR photographers is that many businesses think they can produce an image themselves that will be used by newspapers and magazines to illustrate and promote their business. They think they can do this by using a member of staff who is a ‘keen amateur‘ and has a good camera, or Dave in Accounts has the latest android smart phone which apparently has a brilliant camera and he loves photography as a hobby. We all realise in the current climate businesses have to watch their outgoings and try to cut costs where they can, but my advice is that they should also realise it’s worth spending a relatively small amount of money to get a great set of professional PR photographs that can be used across a number of platforms. I always like to discuss with my client exactly what their aims are in advance of any photo-shoot. Whether it’s a PR executive or a business owner, it’s important to understand what they expect, what they want and what their audience is. That way we can agree in advance what type of photography is best for them. In today’s market, with newspapers and magazines relentlessly cutting staff, a well written article accompanied by a great picture will often make the press and will be well read, whereas a brilliant article with a mediocre picture may not attract the desired attention and may not even make the press. 1. Ask a member of staff who knows their way around a camera and can use it properly. 2. Always fill the frame… pictures can be cropped later but tend to lose quality when you do this. 3. Use perspective… don’t line everyone up like a firing squad! Bring people forward, take images from a high or low angle. 4. Try to get everyone smiling – or at least not looking too glum! In conclusion, in my opinion, companies that see great photography as an investment in their business and future will always do better with their publicity than those who just see it as an expense.